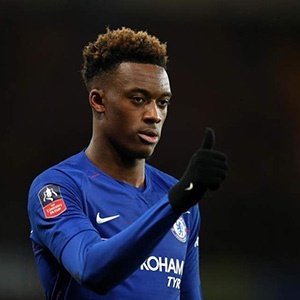 Cape Town - Chelsea starlet Callum Hudson-Odoi is in demand as reports suggest Manchester United have joined the race to sign the player. The 18-year-old is hot property as Bayern Munich, Borussia Dortmund and Liverpool all chase his signature, but now United can also be added to that list. The Blues face a battle to keep hold as the young forward has just over a year remaining on his current contract, and there is no sign of him penning a new one as interest mounts. Hudson-Odoi is unhappy with the amount of opportunities he has been handed at Stamford Bridge, leading to reports he has no intention of penning a new contract. The England international was pushing for a move to Bayern in the January window, but Chelsea refused to cash in, knocking back bids as high as £35 million. United have also joined the race and could see him as a cheaper alternative to Dortmund star, and fellow England international, Jadon Sancho, when the transfer window re-opens. If Chelsea do decide to cash in they will prefer to sell to a foreign club rather than a Premier League rival, which would put the German duo in the box seat.